Savvy consumers are demanding safe, non-toxic treatments and homeopathic Arnica may represent one of the best options available due to its reputation for safety, effectiveness, ease of use and broad applicability. Physician, educator, author, and pioneer of new paradigm medical thinking. Known for its remarkable healing properties, Arnica montana has been used for centuries to treat the effects of accidents and injuries. The name refers to the genus and species of the yellow flowering plant, which is endemic to the mountains of Central Europe. This plant is sometimes referred to as Leopard's Bane and is popularly known as the Mountain Daisy in homeopathic usage. Thousands of physicians and millions of patients around the globe have successfully used Arnica to treat the bruising, soreness, inflammation and swelling that results from all types of physical trauma. Savvy consumers are demanding safe, non-toxic treatments and homeopathic Arnica may represent one of the best options available due to its reputation for safety, effectiveness, ease of use and broad applicability. A bit of an odd situation has arisen because although homeopathic medicines are FDA approved and regulated, they have not been widely embraced by mainstream medicine and, as a result, there is a lack of information and many misconceptions regarding the nature and use of homeopathic products. With recent media attention (1) (2) focused on the use of Arnica for healing injuries, it is important to clarify those misconceptions and set the record straight as to how it can be properly used to maximize its benefits. In addition, there has always been a good bit of confusion in the media about herbal and homeopathic preparations in general -- and this identity problem applies to Arnica as well as many other homeopathic products. Most of the general public is pretty well acquainted with herbal products. Also called botanicals or phytomedicines, herbal medicines are prepared from plant materials and administered in their natural form for a wide variety of ailments. 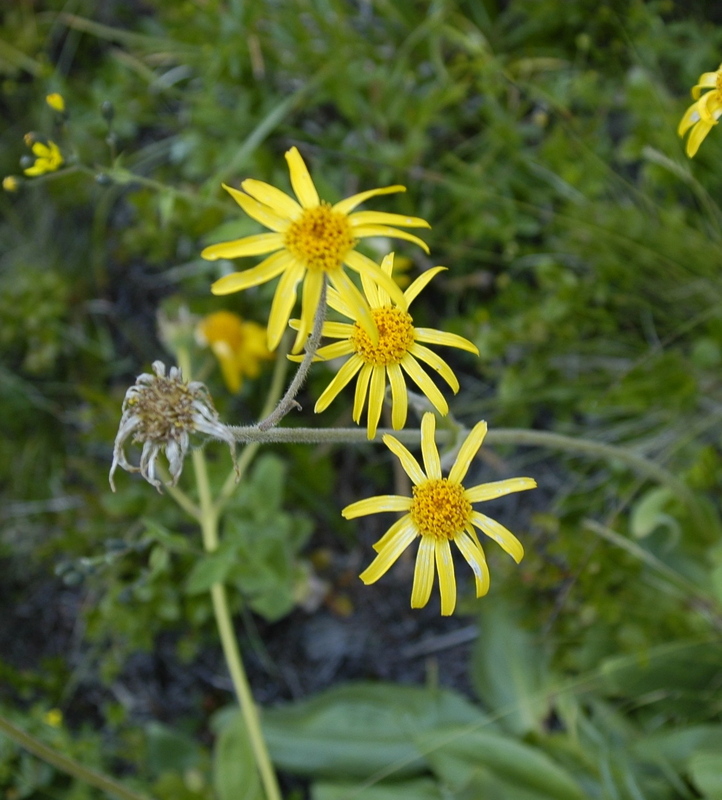 Arnica has been historically used as an herbal preparation, however, the most common over-the-counter and only FDA approved and regulated form available is homeopathic Arnica montana. Sold in most natural food stores, it is important to understand that homeopathic Arnica is not an herbal product nor is it a nutritional supplement. Homeopathic medicines are made from plant, mineral and animal substances, but it is the manner in which they are prepared that makes them unique. Homeopathic medicines are diluted to such a degree that skeptics claim the small doses are merely placebos. They argue that, in theory, it is impossible for them to have any therapeutic effect because it cannot be explained how they work. Experienced homeopathic practitioners and patients make the counter-claim that they actually work in practice. While the controversy rages on, the popularity of homeopathic medicine continues to grow. Since homeopathic medicines have very specific indications for their usage it is important to understand what circumstances are best suited for Arnica (3). It is a perfect fit for all kinds of childhood bumps, bruises and contusions, and many occupational and sports injuries. As a general rule, homeopathic Arnica is a prime candidate for any accident or injury that results in physical trauma consisting of bruising, tissue damage, broken blood vessels, black and blue skin discoloration and swelling. It is most specific to blunt forms of trauma, especially to soft tissues. Arnica can also be of benefit in strains, sprains and muscle injuries. In fact, most homeopathic practitioners believe that the administration of Arnica is the one best course of action to take in the early stages of all cases of physical trauma, and that homeopathic Arnica should be stocked in all clinics, ambulances, emergency departments, school nurse's offices, first-aid kits and home medicine cabinets. The legendary efficacy of homeopathic Arnica has made it the choice of many professional athletes and sports teams. There has been a great deal of attention given to sports-related head injuries in the media lately and, in my opinion, Arnica should be the first line of defense in cases of head trauma (4). Even surgeons and especially plastic surgeons are turning to Arnica for pre and post-operative use to help speed recovery from surgery. I suspect this may have something to do with a research study published in the Archives of Facial Plastic Surgery that noted less bruising in face-lift patients treated with Arnica (5). Research studies investigating the effects of Arnica have generally yielded mixed results. A sampling of studies that have concluded that Arnica can assist in the healing process are listed at the end of this article (6) (7) (8). Most homeopathic physicians would concur that homeopathic Arnica can significantly reduce morbidity in trauma patients and can reduce complications and help speed recovery even in cases of internal bleeding. My own clinical experience has me convinced that the proper use of Arnica would revolutionize emergency trauma treatment protocols. There also tends to be a lot of confusion regarding the dosing of homeopathic medicines. They should not be used on a prolonged daily basis without professional supervision because, unlike conventional pharmaceuticals, homeopathics act according to a stimulus-response principle. While regular drugs are usually employed to suppress or prevent symptoms from occurring and are sometimes taken indefinitely, homeopathic prescriptions are designed to stimulate a healing response. Thus, a few doses are often sufficient to rouse the body's own innate healing mechanism into action. In more practical terms, the frequency of the stimulus applied is much more important than the quantity of the homeopathic medicine taken at any one time. The mildest of bruises and injuries will often respond quite nicely to a few applications of a low strength topical form of Arnica, which is available in a variety of creams, gels and ointments. Be advised that topical Arnica should not be applied to broken skin or open wounds. A more appropriate option for cuts and scrapes is topical homeopathic Calendula, which is a preparation made from marigolds. Moderate to more severe injuries will respond better to oral Arnica, which is commonly available in a few potencies of increasing strength ranging from 3x, 6x, 6c, 12x, up to 30x, and 30c. For example, a moderate bruise from a fall can be handled with two or three doses per day of a lower-strength Arnica for a couple days. A more serious injury, in addition to necessitating a thorough medical evaluation at an appropriate facility, is better handled with more frequent doses of a higher strength of Arnica, like a 30x or 30c. One could administer a dose every hour or even every 10 minutes during the first hour depending upon the severity of the condition. Again, serious injuries should always be given proper medical attention. Homeopathic Arnica is safe, easy to use, and its power to rapidly heal is often a revelation to the newcomer. Everyone should have a vial of those little white pills nearby in the unfortunate event of a mishap. (2) Video: Dr. Mehmet Oz recommends Arnica for bruising on the Dr. Oz Show. (5) Seeley BM, Denton AB, Ahn MS, Maas CS. "Effect of homeopathic Arnica montana on bruising in face-lifts: results of a randomized, double-blind, placebo-controlled clinical trial." Archives of Facial Plastic Surgery Jan-Feb; 8(1):54-9, 2006. (6) R. Widrig, A. Suter, R. Saller & J. Melzer. "Choosing between NSAID and arnica for topical treatment of hand osteoarthritis in a randomised, double-blind study". Rheumatology International 27 (6): 585-91, 2007. (7) Otto Knuesel, Michel Weber and Andy Suter. "Arnica montana gel in osteoarthritis of the knee: An open, multicenter clinical trial" Advances in Therapy Volume 19, Number 5, 209-218, DOI: 10.1007/BF02850361, 2002. (8) Robertson A, Suryanarayanan R, Banerjee A. "Homeopathic Arnica montana for post-tonsillectomy analgesia: a randomised placebo control trial." Homeopathy Jan; 96(1):17-21, 2007. Larry Malerba, D.O., DHt is the author of "Green Medicine: Challenging the Assumptions of Conventional Health Care," published by North Atlantic Books. He has been a practitioner, educator and leader in the field of holistic medicine for more than 20 years.